In many companies, the operations department is the true "backbone" of the organization, tasked with understanding how to get more value from each of it's assets. 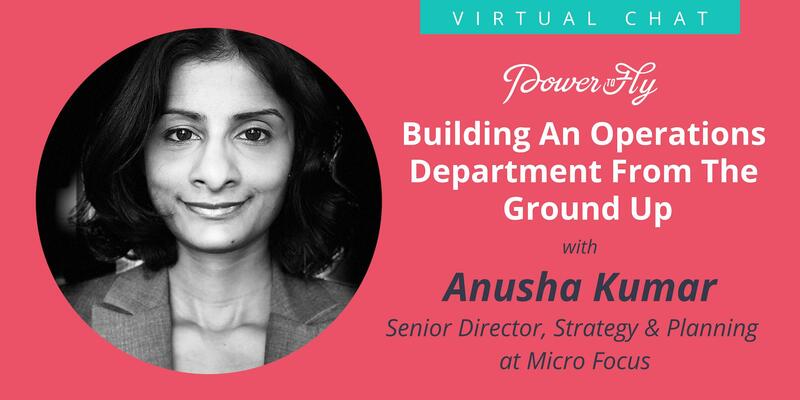 Building an efficient ops department from the ground up is far from easy, which is why we've invited Anusha Kumar to answer your questions in this virtual Q&A;! Anusha has built operations teams from the ground up at fast-growing startups and large enterprises and she's ready to answer your questions, live! What are the differences in building an ops team for a startup vs enterprise organization? I'm the first Ops hire - how should I think about scaling? For a startup, what are the top responsibilities of an ops team? Anusha Kumar is an operations executive with 15+ years of experience building operations teams from the ground up in start-ups and large enterprises. She has proven expertise across biz ops, sales ops, procurement, program management and large scale transformation programs.